Real Madrid left-back Marcelo has been quoted as saying he believes Paris Saint-Germain forward Neymar will one day play for Los Blancos in a stunning move. The Brazil international would not be Mr Popular in Barcelona if he tried that, having only left the Nou Camp for the Parc des Princes in a £200million move last summer (fee via BBC Sport). Marcelo now believes Neymar will eventually make the move to Real, though he did not put a time frame on it. This follows recent speculation from Don Balon that Manchester United had been given encouragement by sponsors to pursue a transfer for the 26-year-old. 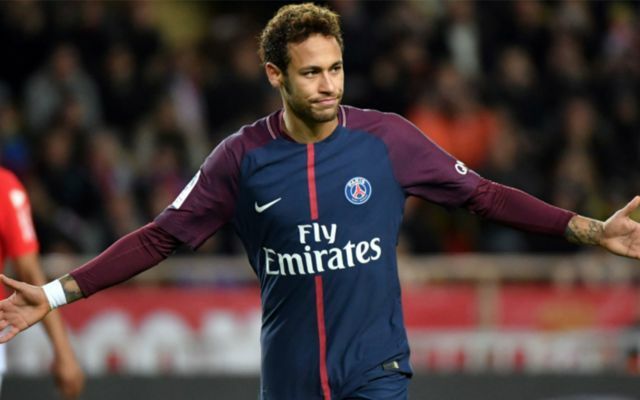 Neymar could no doubt fit in at any top club around the world, and his move to PSG left many surprised last summer as, despite their vast wealth, they are still not up there with clubs like Real and United in terms of prestige and history. This could be behind his fellow countryman’s confidence that he’ll one day end up at the Bernabeu, with Marcelo telling Esporte Interativo, as quoted by Marca: ‘I think Neymar will play for Real Madrid one day. ‘Would Neymar fit at Real Madrid? He would fit, for sure. It would be great if he came to Real Madrid. This could of course just be mind games of sorts as PSG and Real meet in the Champions League this week in what promises to be one of the games of the season. Will Neymar end up at Real Madrid? Will these two one day be club team-mates as well?